For the benefit of your loved ones. A valid legal will allows you to control what will happen with your property when you pass away. It also allows you to appoint a legal guardian for your minor children and express your wishes respecting funeral arrangements and burial versus cremation. Most importantly, your will protects your loved ones by ensuring that your Estate is distributed in the way that you want it to be. Many people do not realize that dying without a will can cause a great deal of hardship to their loved ones. It can also result in people you don't even like receiving money from your Estate. This is because there are default laws that will apply. In some cases, estranged family members have unjustly inherited estates solely because there was no valid will in place to ensure that the appropriate loved ones were protected. In Ontario common law spouses do not have any statutory property rights. This means that if you do not make a will naming your common law spouse as a beneficiary they will not be entitled to inherit from your Estate. Many couples assume that because they have been living together for a certain period of time their common law spouse will automatically inherit. Unfortunately, this is simply not the case. In order to protect your common law spouse you need a valid legal will. When you prepare your will a lawyer can advise you on how best to plan your affairs so as to minimize the financial burden on your loved ones. Simple steps such as ensuring joint ownership of accounts and property, naming beneficiaries, etc. can all help to minimize both the financial and emotional burden your loved ones will face. Living wills, also called Powers of Attorney for Personal Care, are documents that allow you to appoint another person to make health care decisions for you while you are still alive but unable to make these decisions yourself. Powers of attorney can also be used to manage property. Powers of attorney for property allow a person to step in and manage your financial affairs while you are still alive but unable to do so yourself. Both of these documents cease to have any legal force when you pass away, and your last will and testament becomes the only document that matters. Most people have powers of attorney prepared at the same time they prepare their last will and testament. They are simple to prepare and provide peace of mind to both you and your loved ones. 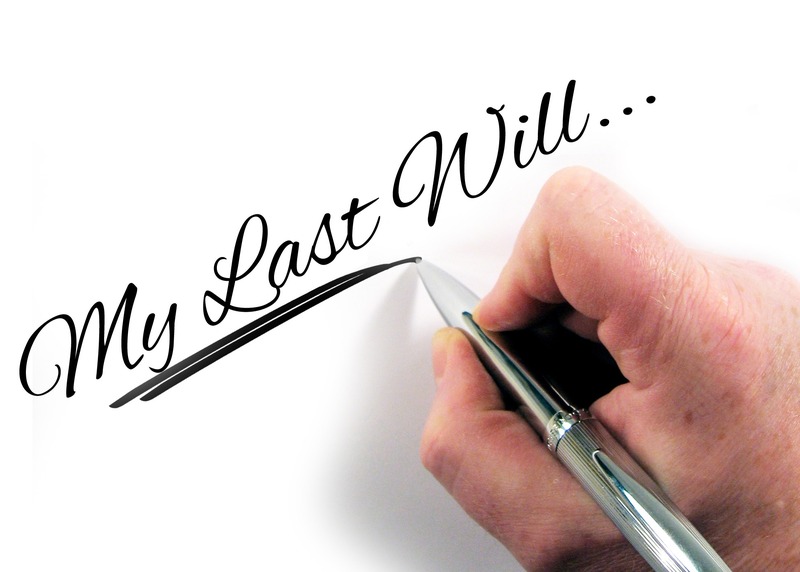 Your will is the place to specify to your executor and loved ones what you want to be done with your bodily remains after you pass away. Many people have very strong feelings about burial versus cremation. Some people want an elaborate funeral ceremony while others prefer a small private gathering. The only way your executor will know with certainty what you wanted is if you include these instructions in your last will and testament. Although these wishes are not legally binding on your executor, they are certainly morally binding and will provide your executor and loved ones with comfort, knowing that they handled things the way that you wanted them to be handled. When these wishes are not properly specified in a will loved ones are left guessing at what you may have wanted. They may feel stressed or guilty about the choices they make for your funeral, burial or cremation without the benefit of your written guidance. The laws relating to wills and estates can be complicated and vary from province to province in Canada. A lawyer can help to prepare a valid legal will that accurately reflects your wishes while protecting your loved ones. Wills are not expensive to prepare and are invaluable when it comes to ensuring that the wealth you've worked so hard to accumulate benefits those who matter most to you. All it takes is a decision on your part to follow through with the necessary steps. The person you choose to act as your executor will be in charge of making sure everything is handled in accordance with your instructions when you are no longer here. The person you choose to fulfil this role should be someone you trust. Ideally, your executor should not be considerably older than you are. You should also have a back-up or alternate executor, just in case the person you choose is not able to fulfil his or her duties. 2) Decide who you want to leave your property to. Married spouses often leave the bulk of their property to each other. In typical nuclear families, spouses generally name their children as alternate beneficiaries such that their spouse will inherit first but if something were to happen to both parents at the same time the children would inherit. If you wish to leave property to children under the age of 18 you will need to consider how you wish that property to be managed in the event that you pass away before the children turn 18. Many people nowadays ask for a provision in their will stating that any money gifted to children under the age of 18 is to be held in trust and distributed by a chosen trustee solely for reasonable education and living expenses until the children reach a certain age. Some allow children to inherit outright at age 18, other people choose a later age like 25. In addition to choosing your primary beneficiary or beneficiaries you should also name alternate beneficiaries, just in case your chosen beneficiary or beneficiaries do not outlive you. It is primarily up to you to decide how you wish your assets to be distributed however there are laws that govern and limit what can and cannot be enforced in your will. For example, if you are married but choose to leave all of your property to someone other than your spouse, your spouse may be entitled to make a claim against your Estate. It is crucially important for this reason that separating spouses who have not yet divorced take appropriate steps to evidence their separation in writing. This can be achieved through a well-drafted separation agreement. Keep in mind that when your chosen executor is administering your Estate he or she will be required to file your final tax returns, pay out any secured debts you owed, etc. 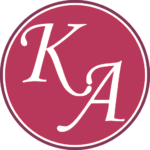 This generally means that it is easier to deal with your future Estate distribution in generalities rather than exact numbers. For example, let’s say you want to leave an equal portion of your estate to each of your three grandchildren. You can specify in your will that your Estate is to be divided into three equal parts. This means that when your Executor has fulfilled all of his or her responsibilities and settled the accounts each child will receive one third of what is left in your Estate. Many people also choose to provide for cash gifts in their wills. For example, you may decide you want to leave the amount of $10,000.00 to a particular friend. This is perfectly fine, provided that you are confident that the cash gifts you make in your will are definitely going to be available to your Executor once your Estate has been settled. 3) Appoint a guardian for minor children (if applicable). If you have children under the age of 18 you should name your chosen guardian in your will. When one parent passes away the other parent will typically assume this role, however in some cases, for example where a single parent has custody and the other parent has no role in the children’s lives, it is very important that the custodial parent both name a chosen guardian and attach to the will a written explanation of why the selected person should be the guardian for the children. Appointing a guardian is also important for two parent households. In the unlikely event that something were to happen to both parents at the same time, it ensures that the parents’ wishes are known. Importantly, the person or people you appoint to act as legal guardian for your children are not required to do so just because you’ve named them. You should speak with the person or people you wish to name and ensure that they are prepared to act as guardians before naming them in your will. Once you have made decisions respecting the above you are in a position to ask a lawyer to draw up a valid legal will for you. Your lawyer will ensure that your will meets your objectives and makes sense for your particular circumstances and family structure.